Methods: A 17 years old schoolboy, Caucasian, with family history of hyperopia, complains of blurred vision in the left eye for 1 month. OCT of the right eye shows deposition of the lipofuscin under the RPE,OCT of the left eye shows submacular CNVM with subfoveal fluid. FFA of the right eye shows hypofluorescence, but FFA of the left eye CNVM presents as hyperfluorescence in the middle phase. The left eye was received 3 monthly doses of Intravitreal bevacuzimab injection. Results: Visual improvement was registered after 3 monthly doses of intravitreal bevacuzimab injection: VA of the left eye increased to 0.4 and remained stable next 6 months of control. OCT and FFA of the left eye shown partially resolving of the CNVM. Conclusion: Intravitreal injection of the bevazucimab is useful for treatment of the CNVM as complication of the Best disease with good visual outcomes. Key words: Best disease, choroid neovascularization, i/v bevacizumab. Best disease or Best vitelliform macular dystrophy (BVMD) is a rare hereditary autosomal dominant macular dystrophy caused by a mutation in bestrophin 1 gene (BEST 1) . It was first described by Dr. Franz Best in 1905 . The family history is mostly seen as positive in 1/10000. BVD is a macular disease that first of all affects the retina pigment epithelium (RPE) and secondly develops damage to the photoreceptors [3, 4]. For all periods of Best disease and for normal phenotypic carrier there is a general abnormal change in electrooculogram (EOG) . Even though clinical manifestations of the Best disease are varied, hypermetropia is a common symptom [7, 8, 9, 10]. This disease, which begins in early childhood (3-15 years), can be complicated by choroidal neovascularization (CNV) [5, 6]. Because the complication of this disease threatens directly the visual acuity, for the treatment of CNV different authors have suggested intravitreal (i/v) bevacizumab [14, 15, 16], i/v bevacizumab+triamcinolone  injections, photodynamic therapy [11,12,13] as an effective method. Purpose. To evaluate the results of intravitreal bevacizumab injection of a young individual with CNV in Best disease. We report a case of CNV as a complication of Best disease in a 17-year-old adolescent male treated with i/v bevacizumab. Methods. In a Caucasian family with a history of hyperopia, a 17-year-old adolescent male complained that the vision in his left eye is blurry for one month. He was evaluated by complete ophthalmic examination: BCVA (best corrected visual acuity) was recorded as 0.7 in his right eye and BCVA was 0.2 in his left eye. Fundus photography shows typical vitelliform (stage II) lesion in the right eye (Fig.1), and in the left eye vitelleruptive lesions (stage IV) with subretinal fluid (SRF), and subretinal hemorrhage (SRH) (Fig. 2). OCT findings are as follow, right eye shows lipofuscin deposition under the RPE (Fig.3), while the left eye shows subretinal fluid (SRF), cystoid macular edema (CME) and neovascular membrane of choroid (CNV) (Fig.4). Fluorescein angiography revealed hyperfluorescence in mid phase and early hyperfluorescence with leakage confirmatory of CNV in the left eye (Fig.5). There was no treatment done on the right eye. After obtaining an informed consent from patient’s parents, i/v bevacizumab (0.05ml/1.25mg) injection was performed on the left eye once a month in aseptic condition (totally 3 injections). Results. Although, there was no change in visual acuity after the first and second i/v of bevacizumab, after the third injection BCVA had improved to 0.4 and remained stable for 6 months. Upon examination of fundus of the left eye, subretinal hemorrhages were resolved, significant reduction of subretinal fluid, and severe regression of CNV were seen. OCT examination revealed that resolving of SRH and CNV fibrosis. Discussion. Though CNV is rarely seen in Best disease it is still considered to be a serious complication that causes severe visual acuity decrease in children and young adults . This fact has recently forced more aggressive treatment for CNV complication of Best disease. Despite the fact that in the last few years, various methods have been used to treat this complication [11, 12, 13, 14, 15, 16] in our case we chose the monotherapy of i/v bevacizumab. Here are a few factors that were involved: CNV being relatively less aggressive, in comparison with photodynamic therapy was cheaper, in comparison with i/v bevacizumab+triamcinolone there would be less complications (secondary ophthalmic hypertension). 3 i/v bevacizumab injections were done once every month. There were no significant changes in the visual acuity after the first 2 injections, so the 3rd injection was done, and after the 3rd injection, the visual acuity significantly increased and for a long time (observation time after the 3rd injection was 6 months) it was observed to be stable. Together with increase in visual acuity, after the 3rd injection the fundus photography, OCT and FFA were performed once again, which showed that subretinal hemorrhage and fluid were resolved, fibrosis of CNV remained stable during the observation period. There were no ocular and systemic side effects associated with a drug administration and injection during the treatment period. In our case, the 6-month follow-up after the last injection confirms the effectiveness of monotherapy treatment in CNV complication of Best disease. The results we obtained are consistent with the results of the treatment reflected in the latest literature for the complication of this rare seen Best disease. Results. In young people with the CNV complication as a result of Best disease, in order to restore the visual acuity and to keep it stable for a long time, now in clinical practice and in latest literature often are seen methods including i/v bevacizumab and photodynamic therapy [16,17,18], i/v bevacizumab +triamcinolone combined method therapy  and monotherapy of i/v bevacizumab [12,13,14] takes a significant place. Therefore, monotherapy treatment with i/v bevacizumab in Best disease with a complication of CNV seems to be a way of promising treatment. Boon C.J., Klevering B.J., Leroy B.P., Hoyng C.B., Keunen J.E., den Hollander A.I. The spectrum of ocular phenotypes caused by mutations in the BEST1 gene. Prog Retin Eye Res. 2009; 28(3): pp. 187-205. Best F. Ubereine hereditare Maculaaffektion. Bertragerur Vererbungslehre. Augenheilkd. 1905. 13: 19. Pinckers A., Cuypers M.H., Aandekerk A.K. The EOG in Best's disease and dominant cystoid macular dystrophy (DCMD). Ophthalmic Genet. 1996. 17(3): pp. 103-108. Hartzell H.C., Qu Z., Yu K., Xiao Q., Chien L.T. Molecular physiology of bestrophins: multifunctional membrane proteins linked to Best disease and other retinopathies. Physiol Rev. 2008. 88(2): pp. 639-672. Weingeist T.A,, Kobrin J.L., Watzke R.C. Hystopathology of Best's macular dystrophy. Arch. Ophthalmol. 1982. 100(7): pp. 1108-1114. Len Y., Schrage N.F., Degenring R.F. Choroidal neovascularısation secondary to Best's disease in a 13–year-old-boy treated by intravitreal bevacizumab. Graefes Arch Clin Exp Ophthalmol. 2007. 145(11): pp. 1723-1725. Miller S.A., Busnick G.H., Chandra S.R. Choroidal neovascular membrane in Best's vitelliform macular dystrophy. Am J Ophthalmol. 1976. 82 (2): pp. 252-255. Berkley W.L., Bussey F.R. Heredodegeneration of the macula Am J Ophthalmol. 1949. 32: pp. 361-365. Blodi C.F., Stone E.M. Best's vitelliform dystrophy. Ophthalmic Paediatr Genet. 1990. 11 (1): pp. 49-59. Deutman A.F. The hereditary Dystrophies of the Posterior Pole of the Eye. Assen: Van Gorcum, 1971, p. 198. Klinnick T.R., Mullins R.F., Dev S., Leys M., Mackey D.A., Kay C.N. et al. Autosomal recessive vitelliform macular dystrophy in a large cohort of vitelliform macular dystrophy patients. Retina. 2011. 31(3): pp. 581-595. Ozdek S., Ozmen M.C., Tutan H.A., Gurelik G., Hasanreisoglu B. Phohodynamic Theraphy for Best Disease Complicated by choroidal Neovascularization. J. Pediatr. Ophthalmol Strobismus. 2012. 49(4): pp. 216-221. Andrade R.E., Farah M.E., Costa R.A. Photodynamic therapy with verteporfirin for subfoveal choroidal neovascularization in Best discase. Am. J Ophthalmol. 2003. 136 (6): pp. 1179-1181. Brodbaker E., Al Karmi P., Hurley B., Caupland S.G. The novel use of Bevacizumab and photodinamic therapy in the treatment of Best disease. Retinal cases and Brief reports. 2010. 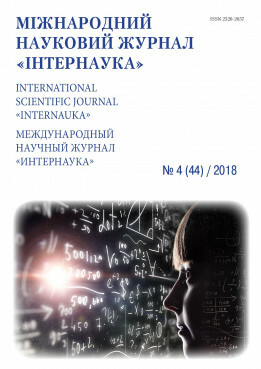 Vol 4, Iss 2. pp. 194-197. Rishi E., Rishi P., Mahayan S. İntravitreal bevacizumab for choroidal neovascular membrane associated with Best`s vitelliform dystrophy. İndian J Ophthalmol. 2010. 58 (2); pp. 160-162. Mandal S., Sinha S. , Venkatesh P., Vashisht N. İntravitreal bevacizumab in choroidal neovascularization associated with Best`s vitelliform dystrophy. İndian J. Ophtalmol 2011, 59(3): pp. 262-263. Celea C., Pop M., Avidis-Zamfiroin N., Celea C. Evolution ot Choroidal Neovascular Membrane in Best disease after Single İntravitreal Bevacizumab. Case Report. Maedica a Journal of Clinical Medicine 2015; 10 (1): pp. 61-64. Cakir M., Cekic O., Yilmaz O.F. İntravitreal bevacizumab and triamcinolone treatment for choroidal Neovascularization in Best disease. J AAPOS. 2009. 13, pp. 94-96.